Peanuts are the fruit of a legume and are not nuts at all. 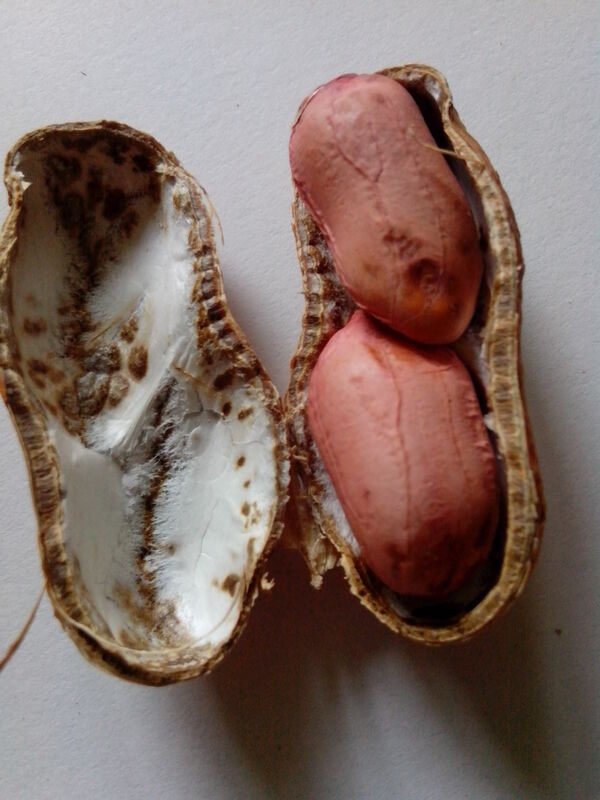 The peanut is actually an annual herbaceous plant (Arachis hypogaea, ‘hypongaea’ meaning ‘under the soil’). The oldest known pods were found in Peru and have been dated to 7,600 years old but they are thought to be older than this. Spring to early Summer is the time to plant peanuts in Sydney so why not find a place in your garden for this easy to grow and interesting plant. The peanut plant can grow to 50-60cm tall and up to 1m wide in optimal conditions but somewhat smaller in temperate zones. It is important that the growing site gets full sun. The peanut needs a light and friable, well drained soil, plenty of water during the growing season and extended and consistent warm weather. Begin by digging over the soil well adding some sand and aged compost to loosen the soil. You can start the plants in moist soil in seedling pots 5 weeks or so before planting. 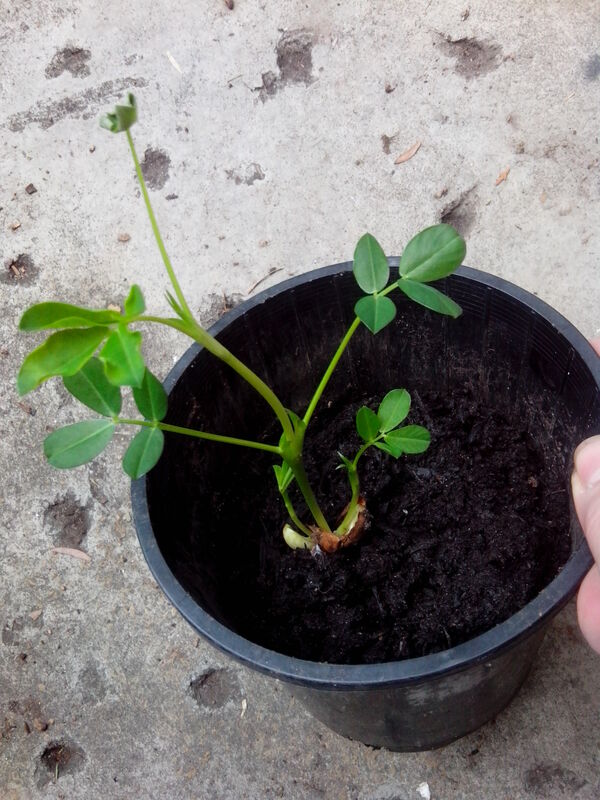 Peanut plants can be planted direct into prepared garden beds but can also be grown in large pots. These must be at least around 45cm wide and 20cm deep. 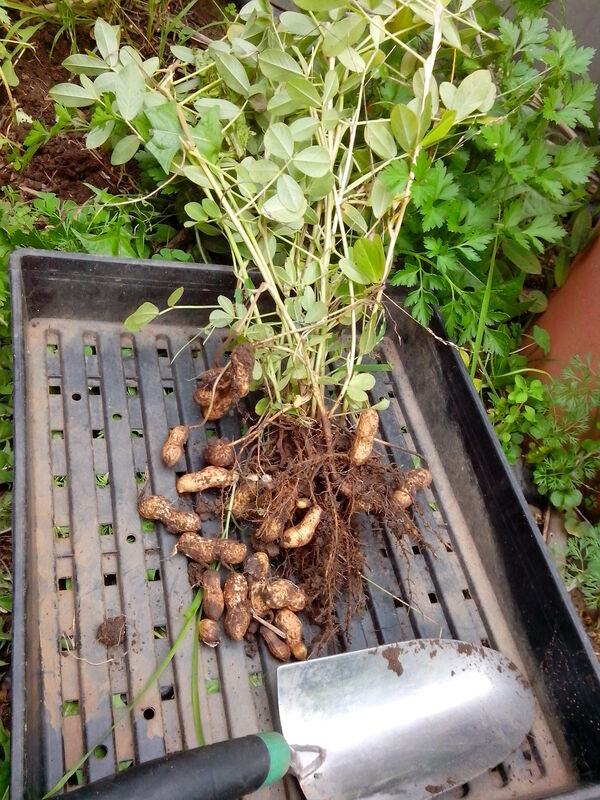 Take fresh raw peanuts that have not been roasted and plant into the prepared soil about 5cm deep and 20cm apart. You can also shell the peanut and carefully remove the kernel making sure not to pierce the brown papery skin around it and then plant as before. Shelling the peanuts will hasten germination but the skin must not be damaged. The peanut seedlings rise out of the soil in about 10 days. Once the plants are about 15cm tall mound the soil around them as for potatoes and till the soil well. 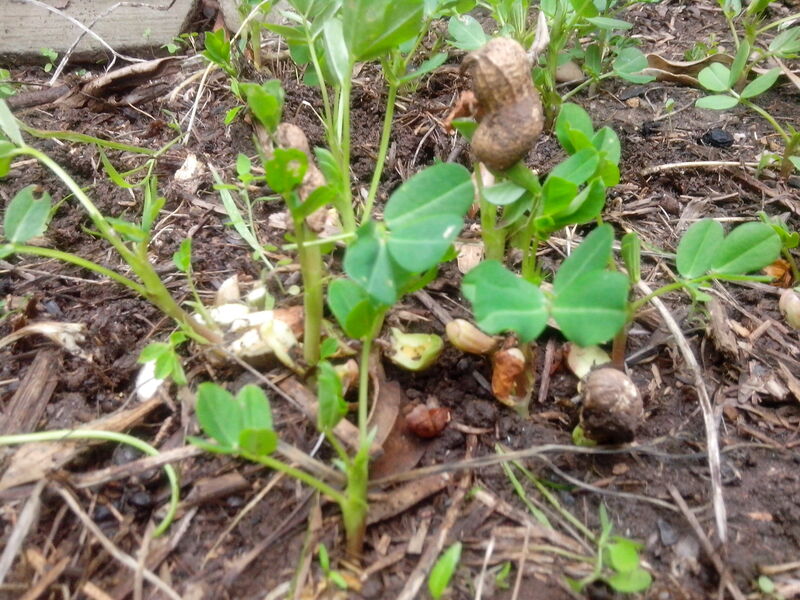 Cover with mulch to keep the soil moist and friable so that after flowering the elongated, fertilized threadlike structure called a ‘peg’, can easily push down into the soil around the plant, where it will mature into a peanut..The peanut will flower 40 days after germination. Watering is most important during the growing season and the plants need 3-5mm of water each week. 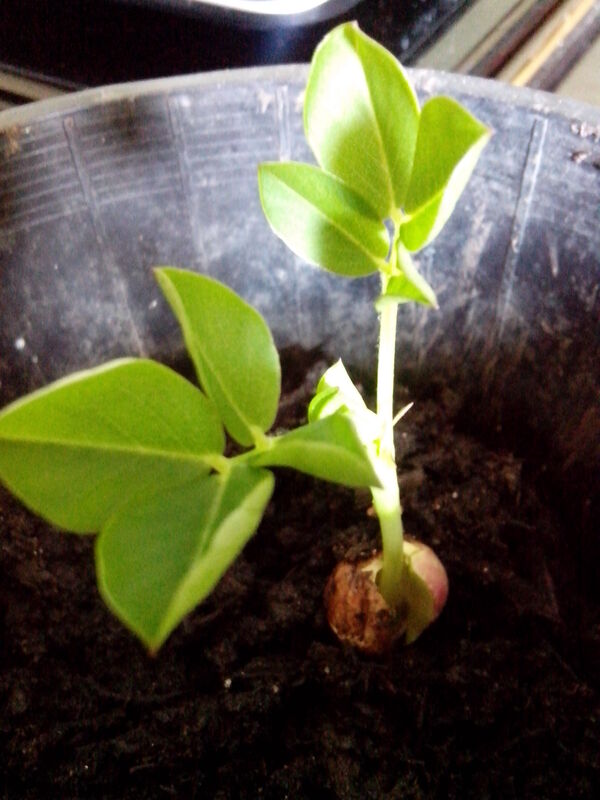 Peanut plant emerging by “cracking” the soil. The mature plant can produce 20-40 pods depending on the conditions and take about 120-160 days to be ready for harvest. When the leaves die down in late summer the peanuts should be a golden colour. Remove the whole plant and leave to dry out hanging upside down in a dry place for 2-3 days for curing. They can then be stored in a dark, cool, dry place. 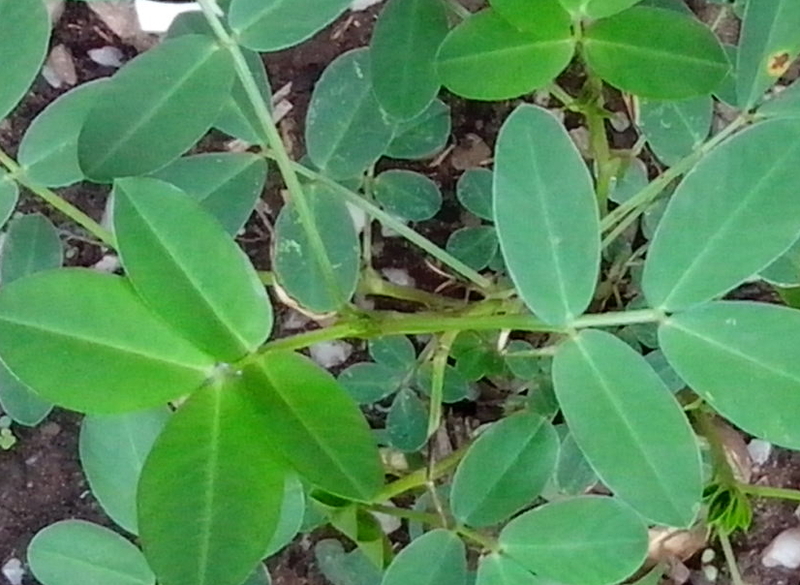 Peanuts, like other legumes, are nitrogen fixing and they improve fertility and soil structure making them a valuable plant to include in the garden crop rotation system. By rotating the location of successive plantings they will be protected from soil borne diseases and also yield more fruit. You can read about a simple crop rotation plan here.